John F. Kennedy headshot, as 35th US President, photo, January 1963. An exhibition of photographs capturing President John F. Kennedy's life is opening ahead of the 100th anniversary of his birth. The exhibit is called "American Visionary: John F. Kennedy's Life and Times.'' It opens Wednesday at the Smithsonian American Art Museum. 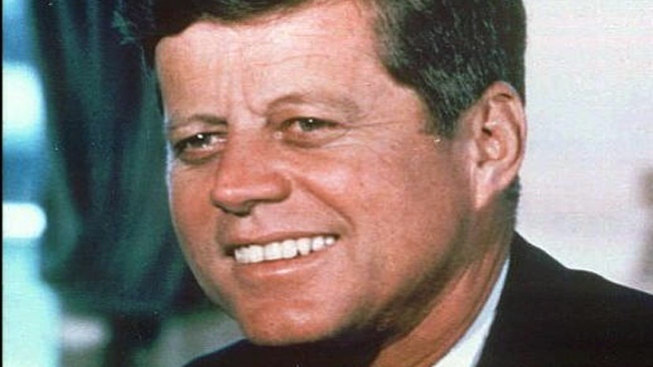 JFK would have turned 100 on May 29. The 77 photos going on display were collected from the John F. Kennedy Presidential Library, Getty Images, private collections and Kennedy family archives, among other sources. The museum says Kennedy was photographed more than any politician of his era. Curators say the photos capture the spirit of optimism that accompanied his rise to the presidency.